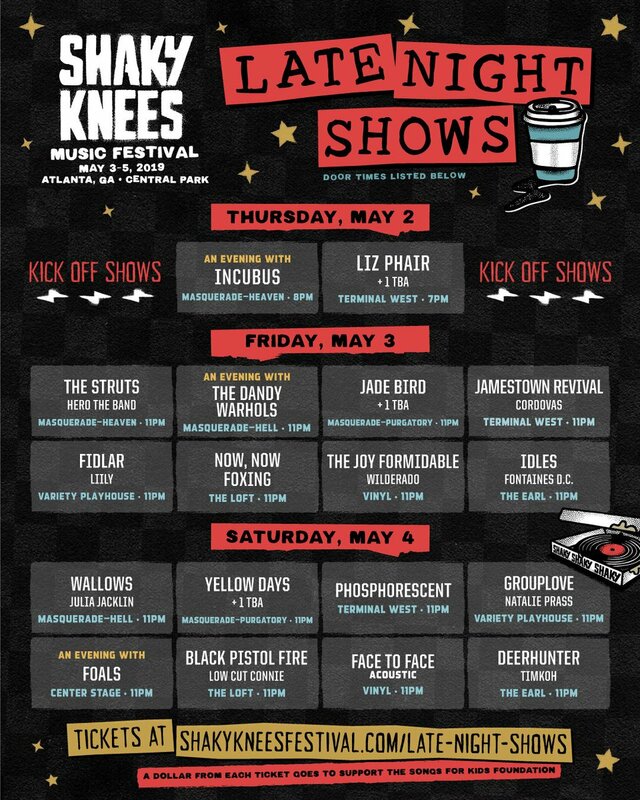 Shaky Knees 2019 in Atlanta features a lineup of indie rock, indie pop and alternative music for three days of glorious music! Shaky Knees tickets are available but moving fast! See the details in the ticket section below. The Shaky Knees lineup by day is out! Friday is Beck, Incubus, Tears For Fears, Tash Sultana and Dashboard Confessional! Saturday gets Cage The Elephant, Gary Clark Jr, Interpol, Jim James and The Struts! Sunday winds down with Tame Impala, Foals, Maggie Rogers, Grouplove and Phosphorescent! 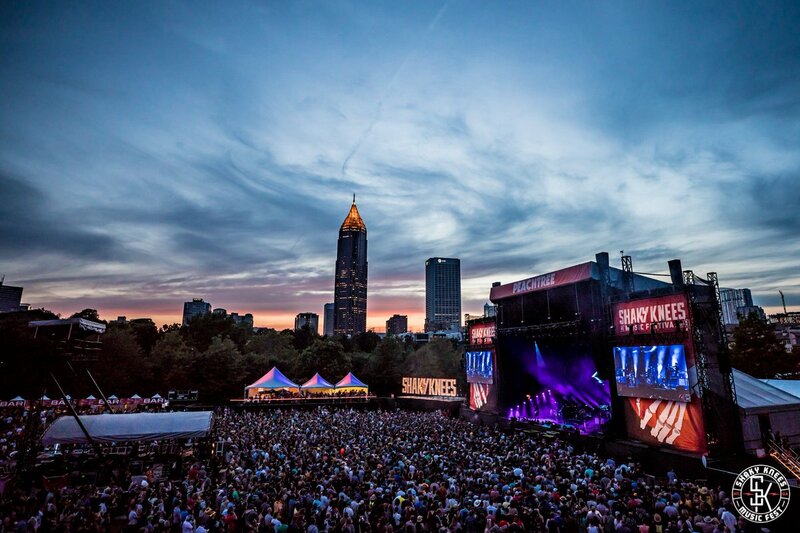 Shaky Knees has more than 60 bands in a diverse lineup of music alongside food that includes southern BBQ or vegetarian friendly corn dogs from an array of food trucks. You'll also find cell phone charging stations, photo booths, art and VIP & Platinum view lounge & viewing options for certain ticket holders. The Shaky Knees 2019 lineup is out and Shaky Knees 2019 tickets are below! Shaky Knees Music Festival tickets are on sale. Weekend VIP tickets have sold out, Weekend GA tickets and Platinum tickets are available while supplies last! The Shaky Knees Music Festival lineup for 2019! Tame Impala, Beck, Cage The Elephant and Incubus all headline! Tears for Fears, Gary Clark Jr, Interpol, Foals, Father John Misty, Tash Sultana and Grouplove also top the lineup!